Prime minsterut Hwang turned down the resignations to help ensure stability in state affairs. SEOUL: South Korea's acting leader today turned down the resignation offers made by senior advisers to ousted President Park Geun-hye. The Constitutional Court ruled Friday to formally end the presidency of Park, who was impeached by parliament in December over a huge corruption scandal. 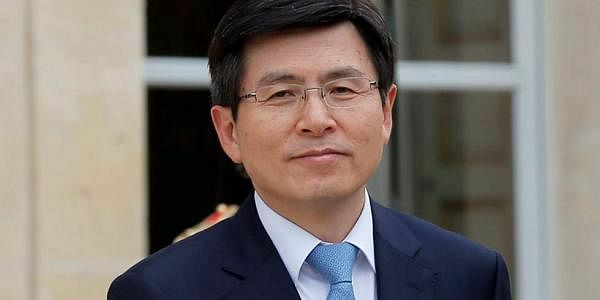 Thirteen policy advisers and other officials at the presidential Blue House tendered their resignations to Prime Minister Hwang Kyo-ahn, who serves as government caretaker yesterday. But Hwang turned down the resignations to help ensure stability in state affairs, according to Hwang's office. Hwang's office said those presidential officials have provided policy advice to Hwang since Park's impeachment. An election to pick Park's successor will be held by May. Moon Jae-in, a liberal opposition leader who lost the 2012 presidential election to Park, is the favourite to be the country's next leader in opinion surveys. Park also lost her presidential immunity from prosecution and will now be investigated over the scandal that has already sent dozens of high profile figures to face criminal trials. Park could face extortion, bribery and other criminal charges, with prosecutors accusing her of colluding with a longtime confidante to extort money from businesses and also allowing the confidante to pull government strings from the shadows. Park has denied any legal wrongdoing. After leaving the Blue House on Sunday, Park expressed defiance about the corruption allegations. "Although it will take time, I believe the truth will certainly come out," she said. Park's comments raised worries about a further deepening of the national divide over her fate. Three people died and dozens were injured in violent clashes between Park's supporters and police following Friday's court ruling.